On 30 March 2015, 4oD was merged into and renamed All 4. All 4 is a video on demand service from Channel Four Television Corporation. The service launched on 16 November 2006 as 4oD (shorthand for 4 on Demand). The service offers a variety of programmes recently shown on Channel 4, E4, More4 or from their archives. However some programmes and movies are not available due to rights issues. The cable and IPTV versions are operated through an appropriate set-top box whilst the internet variant can be accessed via their website. All 4 generated around 215 million long-form video views on all platforms where it is available in the first half of 2011, making Channel 4 the biggest commercial UK broadcaster in the video on-demand market during the period. All 4 is the main source of on demand programmes from Channel 4, E4, and More4, the catch up service currently lasts 30 days and the archive has thousands of hours of programming. As of April 2009, the internet version is fully available to Windows, Mac and Linux users with Adobe Flash Player installed. The "catch-up" service offers content free of charge a programme for thirty days after its broadcast on Channel 4. At this time, not all content is available to Irish users, due to licensing restrictions, however the majority of the programming is available. Live streaming of Channel 4 and its sister channels is not available outside the UK. Channel 4 relaunched 4oD on 31 August 2011. At the heart of the changes is ´My 4oD´, allowing registered users to build playlists, schedule shows, maintain a record of what they have watched, save their favourites in a single place and receive in-page reminders from Channel 4 whenever a new episode is available for them to watch. Other features include better full-page viewing and optimised site navigation during viewing. Blinkbox previously acquired licenses for a number of programmes to be access on its website, although All 4 itself is not available. Some TV series are available for free such as Shameless, Skins, Embarrassing Bodies, and Balls of Steel, while others, for example The Big Bang Theory, Shameless US, and ER have to be bought to be able to watch. 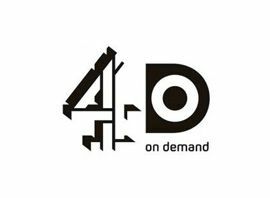 Amazon Instant Video has a content deal with Channel 4, giving its members streaming access to All 4´s archive in a specially-branded All 4 collection. Netflix has bought the rights to a number of Channel 4 shows such as the The Inbetweeners, Father Ted, and IT Crowd and are shown without adverts. The majority of these shows are set to be removed from Netflix on 15 February 2014. 4oD on SeeSaw had access to 4oD archive of shows such as the The IT Crowd, Skins, The Inbetweeners, Bo´ Selecta!, and many more. In August 2011, all 4oD content was removed from SeeSaw, following SeeSaw´s failure to renegotiate its deal with Channel 4. All 4 is available as part of Freesat´s second generation Free Time guide since 27 June 2013, offering the last seven days of programming integrated to the TV guide and access to the All 4 archive via the on demand section. All 4 is available on Virgin Media´s cable television service. This platform offers programmes for 7 days after broadcast and Virgin has exclusive use of most of Channel 4 archive which is free on XL package. In 2007, Virgin Media announced plans to offer high definition programming through All 4 but as of 2012 no further information has been released.